University of Toledo CRUSHES Goal! The National Campus Leadership Team recently spoke with the University of Toledo to learn more about their phenomenal success! 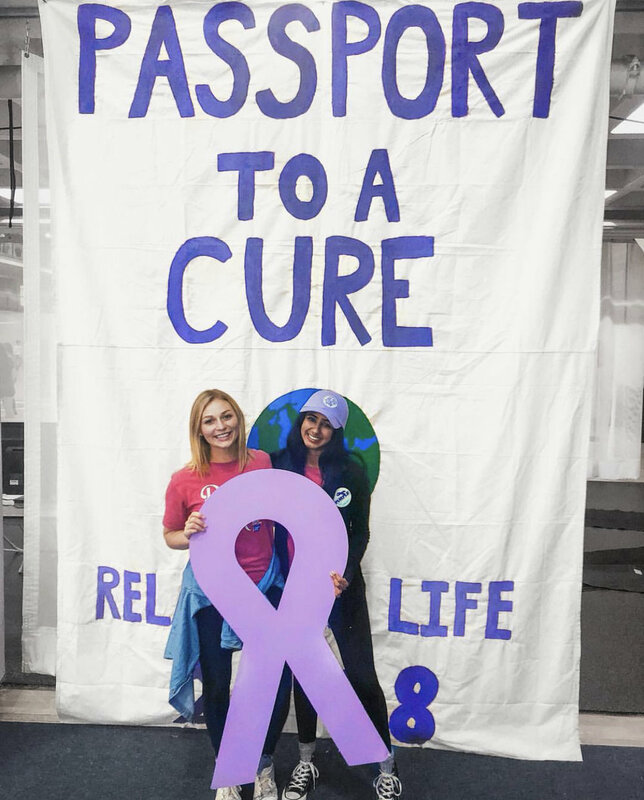 UT hosted their Relay For Life event on November 16, 2018 with 1,626 participants who all came together to raise an astounding $57,621 - 15.2% over their net goal. NCLT: How did you prepare for a successful year and event? Did you host any pre-event fundraisers, what kind of support did you provide to participants, did you rely on support from university administration? Basically what kind of prep work did you do? ﻿UT: This year we asked all committee members to set goals for themselves. Then they wrote out tasks and deadlines needed to reach those goals and would earn points for all of the goals they met! This helped give them a set plan for the year, especially since most of our committee was new this year. Additionally, we held a summer retreat and held weekly meetings once the school year started which facilitated another helpful thing - communication between our Director Board and committee members. We also did quite a few pre-event fundraisers, including a 5K that we hosted with UT Rocketthon, sold hats and stickers designed by one of our committee members, and held percentage nights at Chipotle, Panera Bread, Panda Express, and Blaze Pizza. Something new this year was that we did not rely on the University for finances. In fact this was the first year that our event was not funded by a University budget. 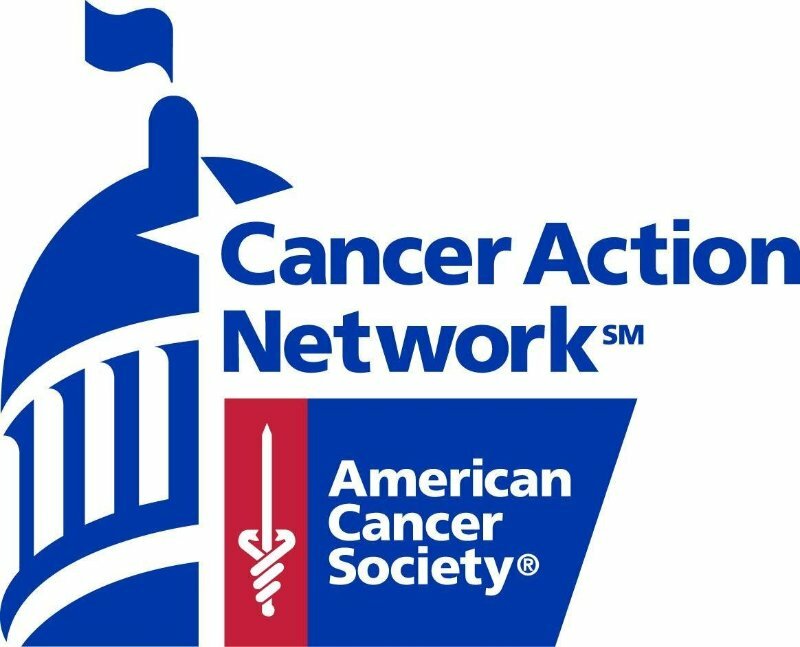 While in the past organizations that host events on campus would receive funding from the Student Activities Board to help support event expenses, this year it was decided that student organizations that host events for other organizations - like we do for the American Cancer Society - would not receive funding. Because of this we did not receive the money we normally did to cover the cost of the event venue, sound and stage equipment, and other miscellaneous expenses. Our committee went into this year knowing we wouldn’t have that additional money, so we pushed extra hard to fundraise more than usual to cover those costs. We did work with the University for logistics with support from staff in the Office of Student Involvement and the Student Rec Center. NCLT: In all of your planning was there a favorite or most used resource? UT: Like we mentioned earlier, communication was a large part of our success. Google Drive and GroupMe were super helpful! Every committee member had access to a Relay For Life Google Drive which made it easy to see what everyone was doing. We also had a GroupMe that included all committee members which made it easy to share last minute updates. NCLT: At the actual event what kind of onsite fundraising or entertainment was available? How did you draw people in? UT: We had quite a few on-site fundraisers put on by participating students - lots of food and drinks like coffee, kettle corn, baked treats, etc.. Our Relay Committee worked to provide entertainment including a bounce house, a ping pong tournament against the local priest, live bands, Minute To Win It games on the main stage, a video game tournament, Olympic Games tournament, and finally a casino room. NCLT: How did you engage in mission during the event? UT: As with all Relays we try to take care of our survivors and caregivers during the event, but something unique this year was related to cancer education. We played a Kahoot game that was made up of Relay trivia and cancer statistics. Over 300 participants played. NCLT: Why do you think you were able to successfully exceed your goal? What was different this year or what did you keep the same? UT: The biggest thing that was different this year that led to surpassing our goal was the mindset of the committee. Committee members were absolutely dedicated to not only reaching our goal but going above and beyond. This year we did a few team building exercises at the beginning of the year to make sure everyone knew each other’s names and titles. Expectations were set at the first meeting in the spring of last year and consistently talked about leading up to the event. Additionally we created a “Battle of the Branches” point system to reward committee members for things like wearing purple during meetings, accomplishing the goals they set at the beginning of the year, and having perfect attendance and meetings and events. It helped that they became friends throughout the process and saw each other outside of our meetings. The committee was close-knit and became friends with each other, which made it easier to work together as a team. It seemed that no matter what the committee position, it truly was a team effort - everyone wanted to succeed personally and event-wide. The positivity and dedication of the committee was arguably the main catalyst to this year’s success. NCLT: What advice do you have for other campus or community events that are looking to crush their goals? UT: The biggest advice we have is that your event is only going to go as far as the dedication and passion your leadership exhibits. You can plan, organize, and execute all you want - but if there is no heart behind it the event will not reach its potential. Hard work gets you to the event, but passion gets you through the event. In addition, we would advise committees to think outside the box when it comes to fundraising. If a fundraiser didn’t work last year don’t be afraid to cut it - it didn’t work, don’t waste your time. But don’t be afraid to start new things, because the little fundraisers add up in the end! Ensure the event is as fun as it can be - you hope participants will come in with a generous wallet but for the most part people like getting something in return for their money. A big part of fundraising is ensuring you can get the largest group of people there for the longest amount of time - the longer they are there the more money the event will make. Don’t give up when things get hard, and just make sure that every time you meet your committee you ask them to remember why they are here - for cancer patients, survivors, and their family members. As told by Katy Merkel and Allison Boesel to Megha Mathur. Giving Tuesday, a national day of giving that takes place the Tuesday after Thanksgiving, is a big opportunity for Relay For Life events nationwide to capitalize on a national focus on philanthropy. The University of Oklahoma did just that, and raised over $54,000 on Giving Tuesday. According to the OU Event Leadership and their American Cancer Society Staff Partner, they were able to raise so much by planning ahead and focusing in on relationships and relevance in fundraising to drive revenue on Giving Tuesday. One of the two most popular - and successful - fundraisers for OU Relay For Life on Giving Tuesday was partnering with fraternities and sororities to fundraise for Relay For Life. The OU Event Leadership worked with the Team Captains of the fraternity and sorority teams to encourage competition between the teams, causing a snowball effect: once one team got on board, even more were interested in competing. One of the main strategies used by these Greek Life teams was phone (or text) banking, calling and texting their family and friends to ask for donations, all the way up until midnight on Giving Tuesday. 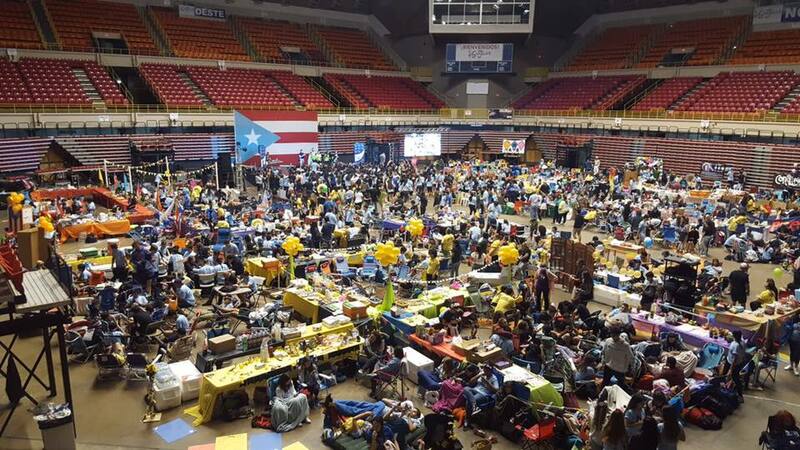 This partnership was made even stronger when many of the fraternities’ and sororities’ local leadership chose to match the fundraising efforts of the participants from their organization. These matching donations alone made up $19,000 of OU Relay For Life’s impressive Giving Tuesday total. On Giving Tuesday, the the second of the two most successful fundraising tactics was a “Box Challenge” fundraiser on social media. This fundraiser, posted most often on an Instagram story, Snapchat story, or on Facebook, encourages social media connections to donate to Relay For Life. When doing this Box Challenge fundraiser, Relayers post this image to their social media along with their Relay For Life fundraising link, encouraging their network to “buy a box” by donating the amount within the box. Participants would then re-post the graphic with the donor’s picture or name over that box to indicate it had been “sold” and for donor recognition. 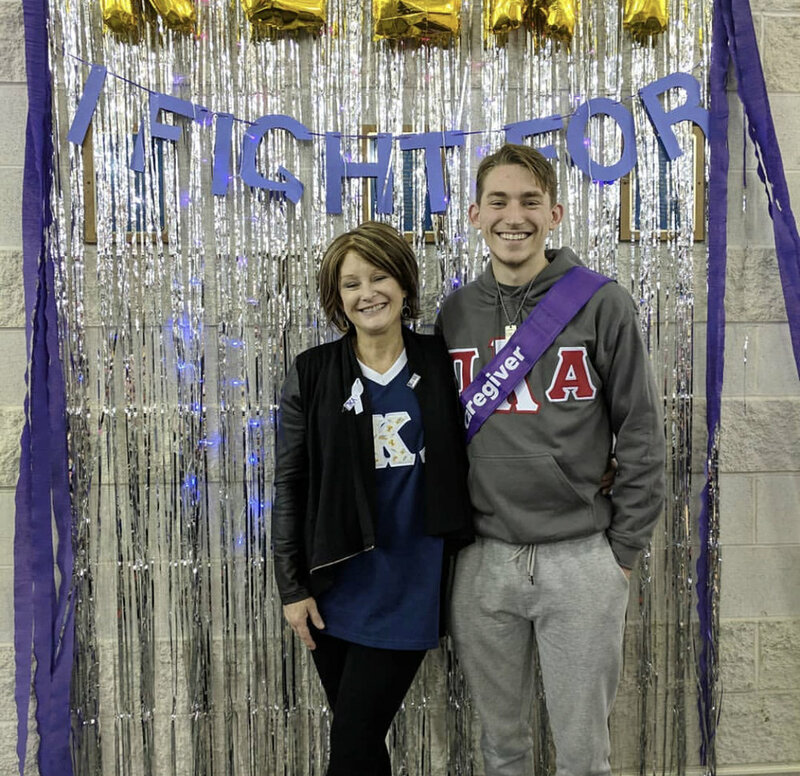 The participants and teams at OU Relay For Life had a growing sense of competition throughout Giving Tuesday to become the number one fundraiser supporting the mission of the American Cancer Society on Giving Tuesday. Furthermore, the OU Relay For Life Event Leadership Team found a way to make the Giving Tuesday fundraising even more competitive: with a prize of AirPod headphones for the top Giving Tuesday fundraiser and a raffle for 4 Oklahoma City Thunder tickets for all participants who raised over $100 on Giving Tuesday. Being hit by a hurricane was by far the biggest scenario our island had to overcome in 2017. The days after September 20, 2017 were uncertain but mostly full of hope. Every community gathered to make the best of what was left after the storm. We, as a non-profit organization, did our best to continue not just the fight against cancer, but to demonstrate the importance of working as a team to create bigger, better things for our community. It was relevant for us to be volunteers in our community so we could help lift our island and continue our mission. 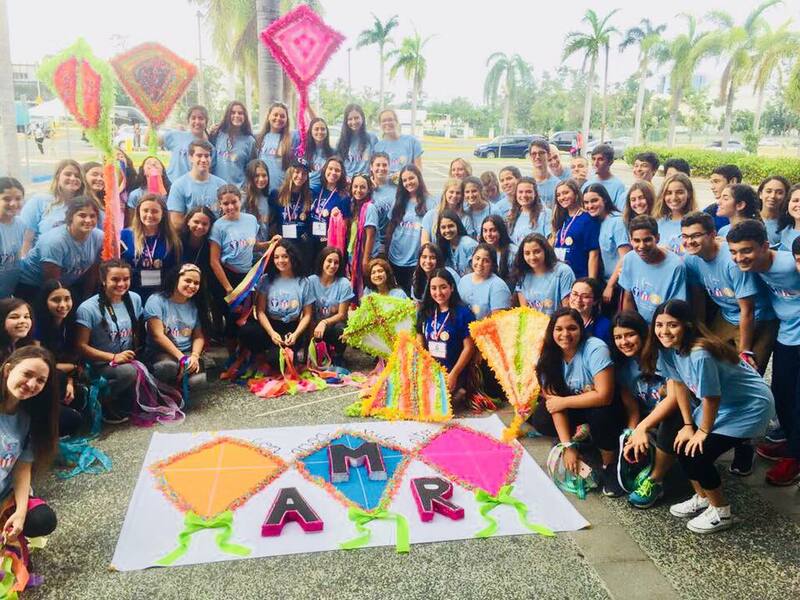 With such energy by November, almost two months after the hurricane María, many emails, messages and phone calls started coming through asking if Relay For Life Estudiantil Metro would be possible. At that moment I realized how powerful Relay For Life events were in the community and how engaged American Cancer Society volunteers were with our mission. 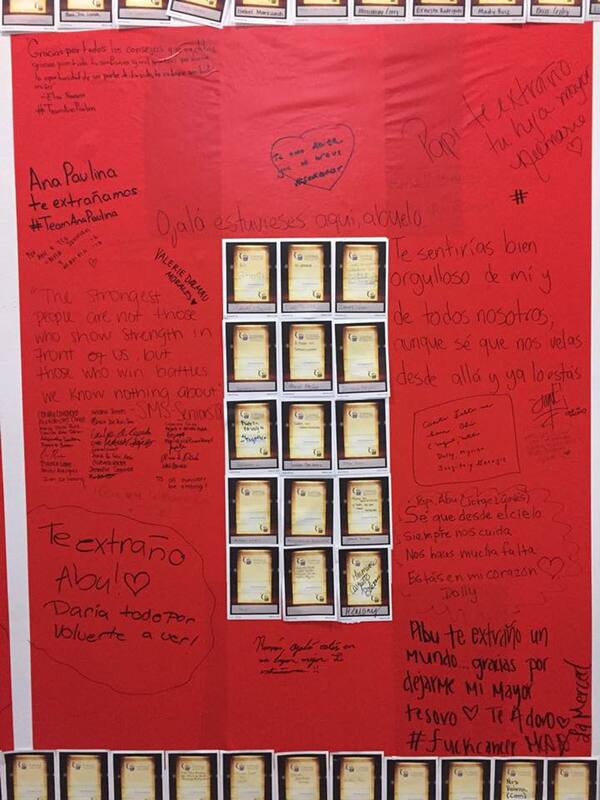 After facing the biggest catastrophe in Puerto Rico, people were still thinking of us, realizing that cancer patients need us now more than ever. As a staff partner I knew we had a great challenge to overcome, but not once did I imagine the extraordinary impact that the event would have on me, the committee, and every volunteer involved. It was necessary to analyze our previous event, which was not our best. We started by considering the things that were a success, those that could be bettered, areas that could use new ideas, and so on. The Event Chair, Jorge G. Jorge Torres, and I began a race against the clock to better understand the task set before us, and the possible challenges we would have to overcome. Relay has been around for so long, giving hope to so many, and this time it would be no different. Many changes had to be done for us to be able to do Relay again. We had no venue available to host the event. We were used to an open space with lots of room to move. All the parks on the island were devastated because of the hurricane and there was no promise that any possible venue would be in its best condition for us to host a Relay. There we had our first and most challenging transition - the move to an indoor event. I started the transition by researching indoor events - mostly by looking for pictures and videos of indoor Relay For Life events throughout the Relay community. 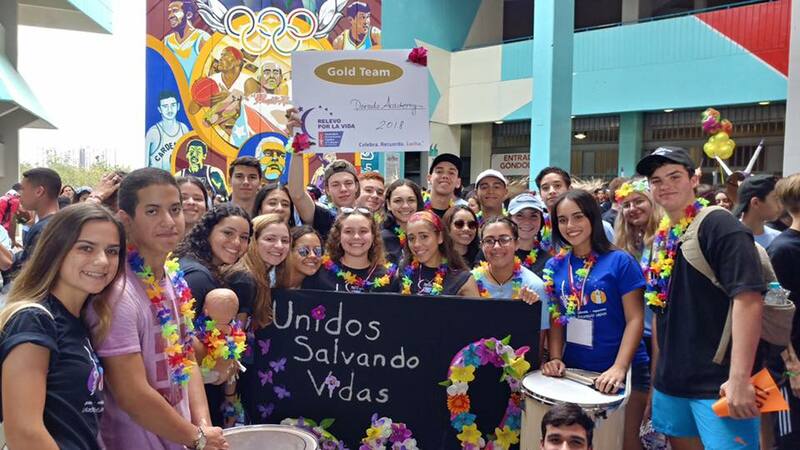 Our Executive Vice President, Dr. Lillian Santos, helped us out by reaching out to the Global Relay For Life Leadership Team for some best practices that we could use as a guide. 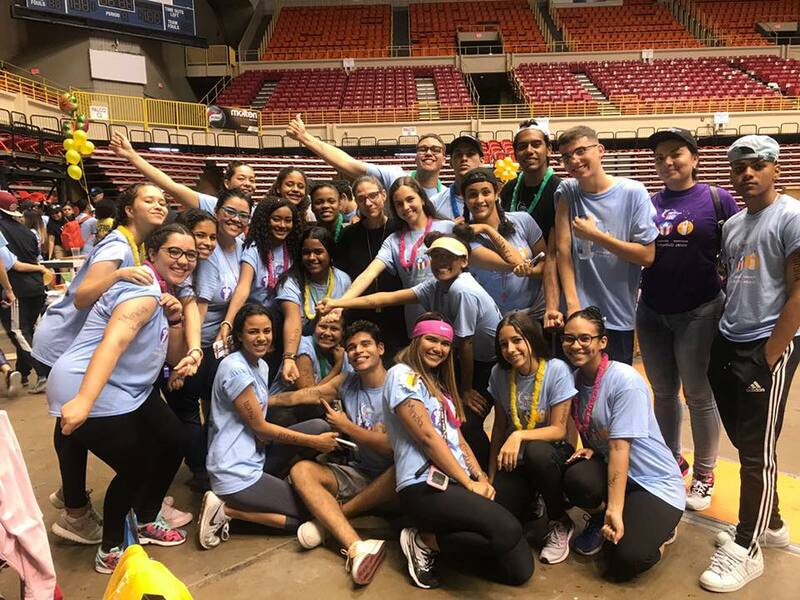 As part of having an indoor event, it was necessary to host an activity that would impact the community with the meaning of Relay, even with the changes that had to be made. The entire committee worked hard to make sure that our event had the essence of Relay For Life in everything we did, including our “why” - our survivors, the fight against cancer, our friends and family, and so much more. As a team, we divided our efforts to have an unforgettable day of event and create an experience that would make every volunteer involved become even more committed to our mission. Fundraising was an area that we needed to work on. Several ideas used in other events throughout the nation were analyzed and implemented, and others that we had used before were modified. This combination allowed us to surpass our event goal and give back to those who need it the most. 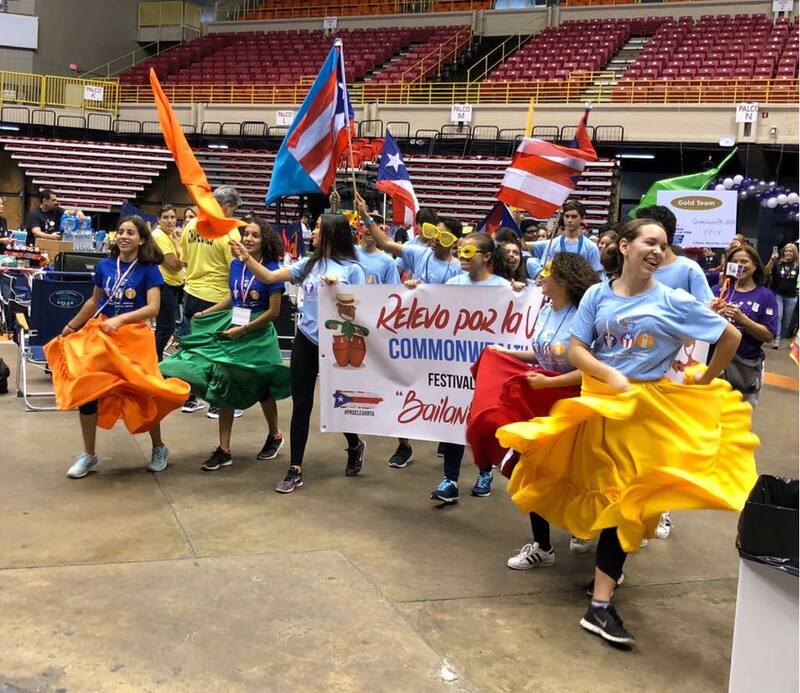 Within the structure of our Relay committees in Puerto Rico, we have Ambassadors. These are the volunteers in charge of providing constant communication and orientation to Team Captains. We divide the total number of teams and assign several Captains to each Ambassador. This year we improved this initiative by making sure that each Ambassador had better, stronger, and constant communication with the Team Captains with a special focus on providing ideas to fundraise, motivate team members, and help each team meet their goal. Being a part of the communication and receiving resources from Campus Relay For Life leadership has given me the opportunity to get to know the best practices in general of some Campus Events and I also had the chance to moderate and implement new things on our event. On calls, they’ve shared ideas for fundraising strategies, samples of emails they share to Team Captains and other resources. One of the strategies that we introduced was taken from the “Zero to Hero Program” done by the Relay For Life of Harvard and MIT. The purpose of the program is to identify those teams that are not raising any funds or that are below the goal. An email is sent to the Team Captain trying to identify if there is any help that we as staff or committee can give out, as well as remind them of the importance of the donation they make to the American Cancer Society and how it translates to the community. Our Ambassadors and the committee member in charge of the accounting of the event were responsible to follow up with the teams and give them multiple ideas to get the donations needed. We also gave them the chance to meet with us in person to better guide them in the process. A chaperone is an adult (25 years and older) that oversees the support of the team on behalf of the school. He or she works along with the Team Captains and is the main liaison between the school and us as an organization. The chaperone could be a teacher, parent, counselor, etc. For the first time this year we also had an Ambassador for the chaperone, so their needs could also be met. This, in particular, had not been done before. 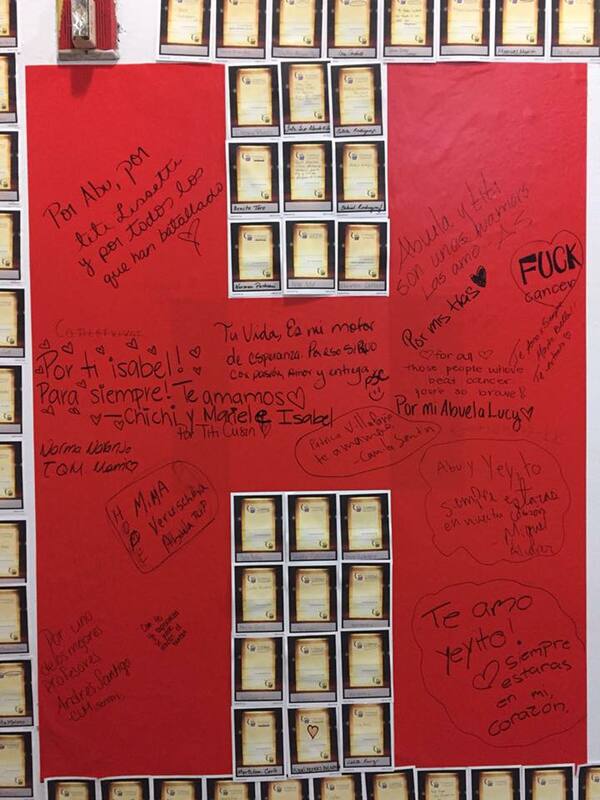 It helped improve the commitment of the students, the school, and the chaperone. It also gave a higher sense of belonging to the chaperones and, in most cases, providing the unique support to the chaperone gave some structure to the Team Captains and the team members. We hosted a meeting for them without the Team Captains so they had the opportunity to look at other details that were important to them particularly. Also with some resources found in Society Source, I found multiple ideas to make fundraising more fun and innovative, as well as focused on online fundraising. We created an online competition that was called 50 in 50. The idea was for all the team members to raise at least $50 in no more than 50 days. We designed the rules, due date, tools for the team members to pass along to family members and friend, prizes, and more. This was the hit of our fundraising campaign. Different from other seasons, we gave special attention to new Team Captains. This was done by having them attend separate meetings (additional to the regular team meetings we have before the event with Captains and chaperones) to guide them throughout the preparation process. This helped the students to feel more comfortable asking questions and getting to know Relay better. Therefore, it improved a new Captain’s performance during their first time in that role. On the day of the event we had nearly 2,500 participants between the ages of 15 and 23 from 20 different schools and 1 university. We celebrated our 10th anniversary with this event and not only reached our fundraising goal but surpassed it by $56,059.69 for a total of $136,059.69 - a 55% year over year increase. Even with the challenges we faced, the community came together to support our mission of saving lives, celebrating lives, and leading the fight for a world without cancer. Since the event’s completion, we’ve been working on maintaining the great things that were highly positive, evaluating those that could be modified, and maintaining communication with the teams. We have been working on a program that encourages early contact with our teams and it involves their visit to our Hope Lodge, our visit to the participating schools, and others that will be implemented during the beginning of the season. We are looking forward to incorporating ideas and new strategies to raise even more money to fund the mission of the American Cancer Society next Relay For Life season! As told by Sharon Tossas, Staff.